Happy new year! Lots of wonderful news to report, including upcoming events and initiatives, reports on recent events, and the release of a new edition of Shamar Rinpoche's book. Read on for details. Karma Trinlay Rinpoche has continued his Spirit of Awakening teaching tour of Bodhi Path centers in North America throughout December 2013 and into January 2014. During this multi-stage 2013/2014 tour, Rinpoche is providing a special presentation of Shantideva's Way of the Bodhisattva in its entirety. The earlier parts of the tour, conducted during the Spring and Fall of 2013, completed up to Chapter 7: "Perseverance." The Winter segment began in Miami with Chapter 8: "Meditation," and is proceeding from there. Rinpoche has traveled and taught in Virginia and California as well. As the tour continues, please check the website from time to time for possible schedule adjustments: http://www.bodhipath.org/trinlay2013/. Given how rare it is to receive such comprehensive teachings, Bodhi Path centers have been capturing the teachings on video so that students everywhere can experience the complete program. Videos are available online, and your offerings help ensure that this project continues. Students may register and view the videos, via the Bodhi Path website. New! Trinlay Rinpoche has assisted the development of a PDF document that maps the topics taught in each video with the book chapters and verses. This document will be updated continually as new classes are filmed and posted. Look for the beautifully updated version from Delphinium Press. We will let you know the Book Tour Schedule as soon as all the dates are set. 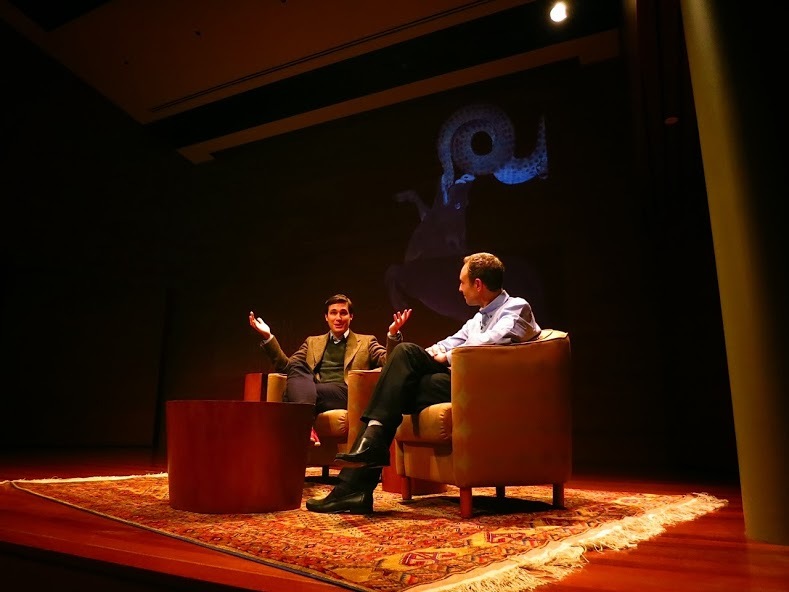 On November 1, 2013, the Rubin Museum in New York City hosted a very interesting and well attended discussion between Trinlay Rinpoche and neurologist Dimitrios Kapagiannis on the nature of mind, captured here on YouTube. The program was open to the public and very well attended, drawing people from around the USA and abroad. 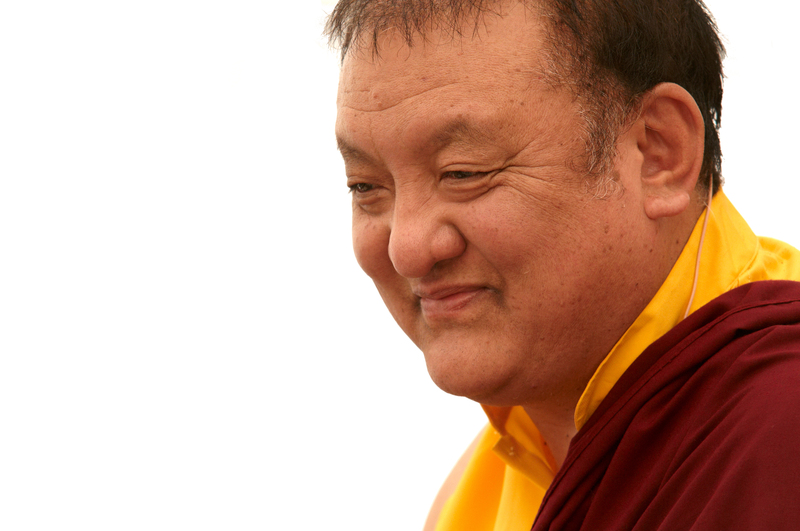 Tricycle Magazine has asked Trinlay Rinpoche to lead their April on-line retreat. There will be a 20 minute video each week for 4 weeks. Rinpoche will teach on the Six Paramitas. Details will be announced soon. Last year, Bodhi Path Centers, members, and other practitioners made a commitment to accumulate 100 million recitations of the mantra and dedicate their efforts in support and appreciation of H.H. Karmapa Trinlay Thaye Dorje's world-wide activity. Many have contributed and, at the time of this writing, we are now at nearly 60 million manis! This has been a truly global effort, which all are welcome to join. You can participate by joining the Facebook Group: https://www.facebook.com/groups/bodhipathmanis/, or by sending your recitation counts to a local Bodhi Path center. 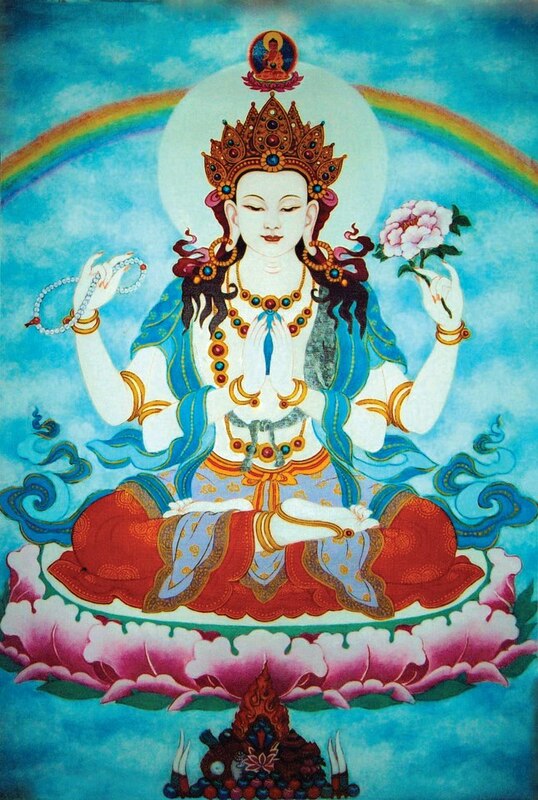 The vajrayana practice of Chenrezig (Sanskrit: Avalokiteshvara) combines wisdom and compassion to realize mind's true awakened nature and develop genuine compassion for all sentient beings. As part of the practice, we recite the mantra Om Mani Padmé Hung. We aim to reach 100 million manis before spring! The program will be held in Germany, hosted by Bodhi Path Renchen-Ulm. 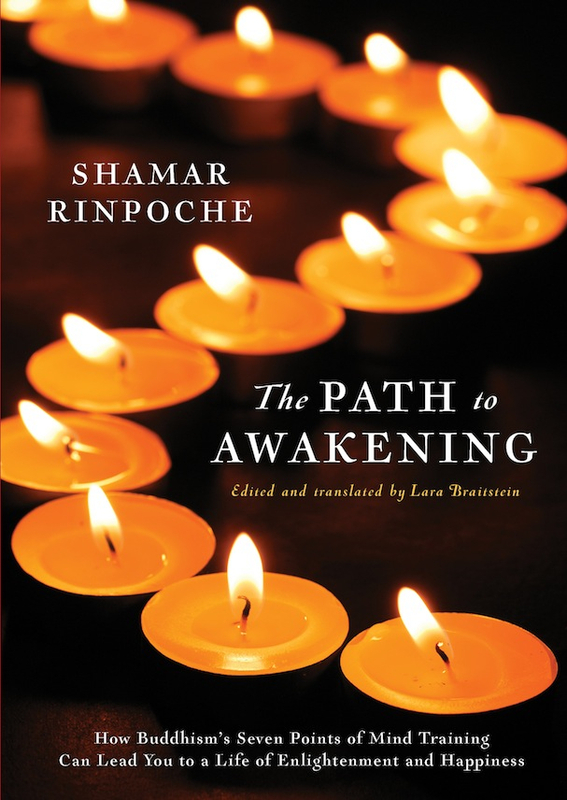 Shamar Rinpoche will continue the Lojong teachings from his book "The Path to Awakening." purchase to support a non-profit of your choice. To support Bodhi Path, please type in Wisdom Foundation, which is the 501(c)(3) for Bodhi Path Centers. Wow, the Bodhi Path centers are hopping! There are many wonderful activities throughout our widespread community. Check out the bodhipath.org website for individual programs and center details. First, we want to inform you that the dates are now set for Shamar Rinpoche's Annual Programs in the USA and Europe. 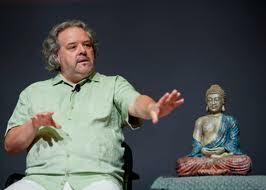 The EU program will be held in Germany June 6-9th, 2014, hosted by Bodhi Path Renchen-Ulm. Shamar Rinpoche will continue the Lojong teachings from his book "The Path to Awakening." The USA program has new dates this year. It will be held in Virginia August 14-17th, 2014, hosted by Bodhi Path Natural Bridge. Please note that the format for the USA program has changed to Thursday-Sunday. The USA program will be book-ended by Bodhi Path's summer study program (BPSP), led by Khenpo Tsering, which will complete the first 4 year cycle. Wow. Bravo to all participants. The dates for this summer are August 2 -10, 2014. Following Shamar Rinpoche's program in the USA is Tsony's annual program retreat, which will start August 18th at 7pm until August 23rd at noon, 2014. One benefit to having all three programs in a row is to help travelers who may plan to attend more than one program. 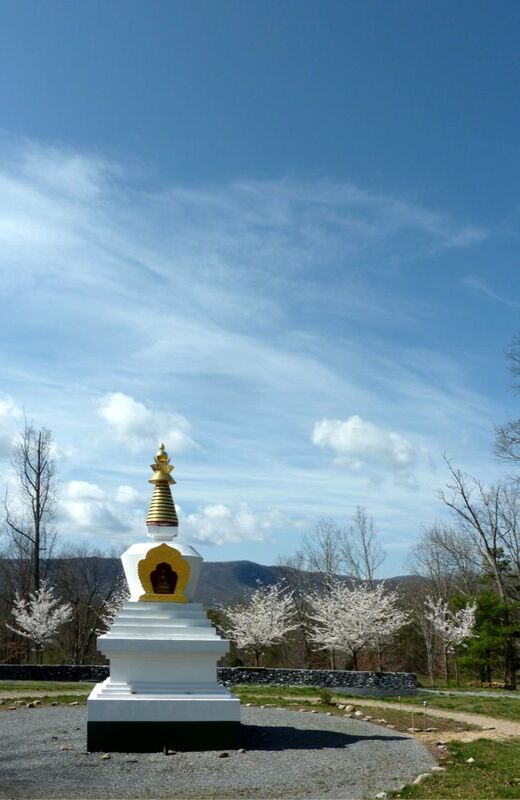 Speaking of Tsony and annual retreats in Virginia, the Annual February retreat that takes place in Natural Bridge, Virginia, led by Dharma Teacher Tsony , will be February 15th beginning at 7pm until February 23rd at noon, 2014 this year. The subject is study and practice of the Shakyamuni Buddha puja. I was grateful to be able to travel to NYC to attend the Rubin Museum event on November 1st, which hosted a very interesting and well-attended discussion between Trinlay Rinpoche and neurologist Dimitrios Kapagiannis. There were so many Bodhi Path friends at the event; some of whom traveled from afar, even from California!!! Many of us met for a casual dinner at the Rubin's Cafe before the talk, which was a wonderful chance to visit and chat with our BP friends. Trinlay Rinpoche has completed the winter segment of his Spirit of Awakening Tour. Thank you, Rinpoche, for your continued generosity and skillful teaching. Miami, Natural Bridge, and Santa Barbara were all stops on this leg of the Tour. Delphinium Press is coming out with a new version of Shamar Rinpoche and Lara Braitstein's "The Path to Awakening" book. Check out the new cover art, I like it!!!! Shamar Rinpoche will be traveling widely on a national book tour, arranged by Delphinium; we look forward to seeing Rinpoche speak in bookstores near Bodhi Path centers, as well as many other U.S cities. We will keep you informed; speaking engagements are planned for February and March of 2014. The Mani Project is steaming along, especially emblazoned recently by the Mani-Thon, which encouraged group practice worldwide for Bodhi Path centers globally during a specific 24 hour period. We are getting closer to our goal of 100 Million Mani's, an offering to the 17th H.H. Gyalwa Karmapa... the process of dedication has been wonderful and an inspiration to so many practitioners across the entire Bodhi Path community. A heartfelt thanks to the organizers. We're busy gathering writing for next year's (2014) The PATH. If you would like to submit an article, poetry, or art for consideration, please inquire at newsletter@bodhipath.org. Happily, our Bodhi Path magazine is growing into a beautiful offering from a variety of voices from our Dharma community. We have recently posted all the past issues of the PATH in PDF form on our Bodhi Path website, at bodhipath.org/news. If you purchase from Amazon.com, please consider signing up with Amazon Smile, and donating a percentage of your purchase to Wisdom Foundation, which is the 501(c)(3) for Bodhi Path Centers.